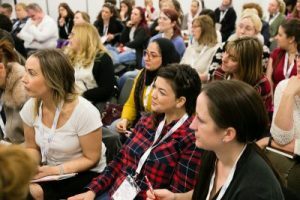 If you’re looking for a child care calendar of events, look no further than Childcare Expo – the longest running exhibition in the Early Years sector. We have a huge calendar of events for childcare specialists, with free exhibitions running up and down the country. Come along to one of our events, and you will be able to get your hands on a whole range of resources designed to develop and improve your understanding of the Early Years sector. If you would like our help to make your business and childcare practices the best that they can be, register your interest today. If you’re looking for inspiration on how to improve and develop your Early Years establishment, then our child care calendar of events is not to be missed. Over the years, 1000’s of people have benefitted from the inspirational speakers and workshops that we have hosted during our exhibitions and this year, we hope you will join them. If you work for any of above, or you’re a child practitioner of any kind, read on to find out more about our up and coming calendar of events for childcare specialists. Where can you attend one of our exhibitions? If you’re interested in attending any of the shows in the above places, register your interest for free tickets here. What can you discover when you attend one of our exhibitions? Our extensive seminar list is one of the most anticipated pieces of information on our child care calendar of events. 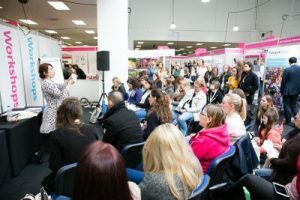 For every day of our Childcare Expo exhibitions, we’ll have a number of keynote speakers voicing the latest theories and discoveries based on the Early Years sector. You’ll be able to gain vital information on the new policies for the up and coming year, while learning new innovative techniques and advances that you could put into place at your childcare establishment. If you would like to attend our seminars, an additional fee does apply. You can find out more information regarding our list of events for childcare specialists on your preferred exhibition page. Our workshops are also hotly anticipated on our child care calendar of events. They provide a fun and interactive way in which to learn the latest innovative techniques in child development in the Early Years sector. When you join us for our workshops, you’ll be able to learn a whole host of low cost or free-to-run activities that will prove to be invaluable in developing a child through their early years – from speech and language to interacting with nature! If you would like to book a stand at one of the locations mentioned in our child care calendar of events, call us today on 01425 838393 or email us at [email protected]. What other things can you discover? Why should you attend our Childcare Expo exhibitions? How do you go ahead with booking your place? If you would like to book your place at one of the exhibitions in our child care calendar of events, register your interest here. If you would like to exhibit at one of our shows, you can apply for your stand here.